Do you have a bike you don’t need anymore? The Free Clinics can use it! Begun as a pilot in fall 2016, this patient-driven and supported program collects donated, used bicycles and utilizes volunteers, local bike shops and bike clubs to rehabilitate them. The bikes are then donated back to our community neighbors in need to assist them in addressing transportation issues. Since February 2017, TFC has distributed 53 bicycles to vulnerable persons needing transportation; at least 5 of those bikes have been returned once patients’ circumstances improved, to assist another person in need. 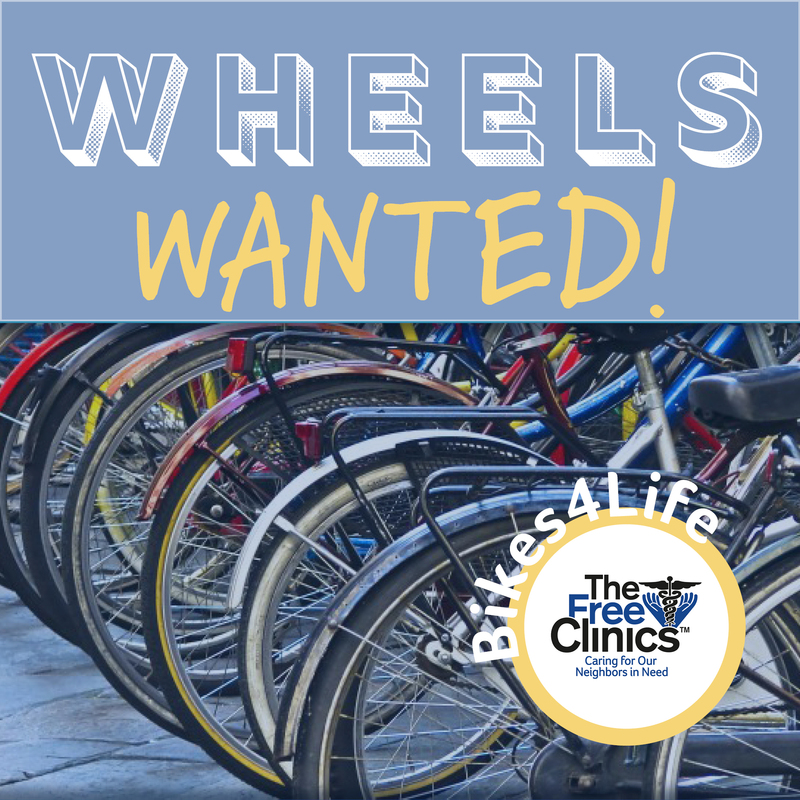 Contact Emily Shock at (828) 697-8422 or eshock@thefreeclinics.org for more information on Bikes 4 Life, or to arrange for a bicycle donation pickup.